A month ago I had tears in my eyes. They were tears of happiness. My little guy was developing imaginary friends again and better yet, was creating them with craft material like glue, scissors, scotch tape and construction paper. He told me the name of the main character, Dooki, and his various friends, Glegle, Samosa and a few other names I can’t remember at this time. No matter. He is doing crafts. My kid. The kid who hated fine motor. He is writing semi-legibly, the kid who hated doing anything fine motor and hated writing. I am beyond overjoyed. He has reached another milestone in development. Oh, and he is back to writing stories about his characters. I am so proud! It just goes to show how parents can never underestimate what their child will do. They can even learn to enjoy an activity they previously hated doing. Yes, we have had challenging behaviors, puberty is hitting, and have had to navigate some pretty interesting conversations about hunger, poverty and religion, but I see Michael growing up more each day. He is changing. He even asked me for Legos. Ok, he only wants Star Wars ones, and a police car and ambulance. But what amazed me is he is getting back to playing with toys and things age appropriate more or less. Kids with autism have trouble with make believe and playing. Thinking abstractly is hard for them. They are literal beings. Still, my little guy is changing all that, while he is helping change mine and the world’s perception of autism. His friends are doing it too. Autism is such a vast spectrum. It’s important we never underestimate our child’s potential, wherever they may fall on the spectrum. Exceptional Parents, what new worlds are your Exceptional Children building for themselves and you? How are they changing your perception of what they are capable of daily, weekly, monthly, yearly? All of our children have abilities and will surprise us if we let them. Encourage your child’s interests, loves and passions, and most importantly, never stop believing in their potential to rise above any challenges in their lives. They are strong individuals, and they will persevere if they know they have their caregivers in their corner. Until next time. I love traditions. I love the way they mark time, passages, and growth. I also love the way traditions bring family and friends together. Michael’s Dad and I started a tradition a long time ago with close friends where we all get together once a year at our house for a BBQ lunch or dinner. It has shifted back and forth, but now it is back to a dinner so friends of mine who have smaller children don’t have to worry about their kids missing their nap, and my other friends with older children and activity commitments can still make it. Still, the friends of mine who don’t have children also have the opportunity of squeezing our dinner into their busy schedules. As a result, we’ve pretty much had everybody make it every year for the past eighteen years that we’ve been doing it. These are friends I grew up with. We knew each other as girls, then women, then husbands and now children are in the mix. It’s absolutely wonderful. For Michael, he is also learning about how important friendships are, and about the building of traditions to keep friendships going and moving smoothly into changes that occur in life. These friends are his aunties and uncles so to speak, and he gets along well with their kids. It’s always a fun way for us to end our summer with this BBQ. Now that Michael is older, he actively helps us prepare by buying the food, and tidying up a bit. Alright, he cleans his room, but still it is a start. 🙂 I am so proud of how far he has come from being overwhelmed by people, to looking forward to a party, even though there are challenging moments for him. Exceptional Parents, do you have any summer time traditions that you participate in with your Exceptional Child? How do they respond? How do you respond? Remember, give them time to grow to love these traditions and soon they will begin to change their response to them. It also gives you a chance as a family to grow together, try new things, and form new memories. Until next time. We are in the final few days of a very difficult transition time for kids: the end of school. Michael is no different. Exceptional Kids only handle the transition into the unknown with a little more of a twist than their neuro typical peers. Some of the ways Michael is handling it is very impressive. He has expressed his fears and anxieties to me by telling me that he is happy school is ending, but will miss his friends. He also has asked if he could set up the next week’s schedule on our dry erase board, a wonderful tool I was told about last year by our Psycho Educator to help Michael handle the changes that come with summer. The fact that he brought it up to me, was a huge milestone. I’m very proud of how he is starting to handle his anxieties. So yesterday afternoon, away we went on the dry erase board structuring his first week of summer vacation which starts on Thursday, June 23rd. Of course there have been some pitfalls along the way. He has started more intense negotiations for things we have said no to, swearing has increased, and he has been a little more short tempered or emotional. This is all normal for all exceptional children, and as parents, we need to give them time to settle into a new routine. Monday was a prime example of Michael acting out. After school I had taken Michael to a splash park. It’s a small one and I warned him he may be bored, but he insisted he wanted to go there. Well, guess what. He was bored with me and complained that he was not having a good time. Then he started to cry looking at all the other kids playing while he was alone. They were babies and toddlers with their siblings. I explained again about it being for a younger age group, but then realized he needed to let the emotions out by crying. He later told me he was crying because he did not try to enjoy himself when he was there and make the best of it. I was impressed again how he is picking up on these things. I shared with him a time recently when I did something similar, and had regrets. Live and learn. Exceptional Parents, what tools do you use with your Exceptional Children to ease the transition from end of school to summer? Do you let your children pick the tools or is it easier for them when you do the picking? Again, like with every thing else, it is important to find what works for your child/dren, but I would say a balance of them having choice and you suggesting things is probably the best balance between the two. Remember, as a parent you need to give them more space and be more tolerant of challenging behaviors at this time of year, and they need to vent and also learn how to self-regulate too. If the two of you meet halfway, you are doing amazing. Until next time. It’s great to see Michael having so much fun at school with Winter Carnival. Not only is he happy that he is having fun at school with winter sports like hockey, snow fort building and other such activities, but is glad to have a break from homework for a few days. I have to say though, that he is getting so much better at doing his homework, and is improving in his reading and writing skills. I think it is mainly the need to be active that’s so important for Michael, for all exceptional children, and when you think about it, all children. In today’s world kids don’t move enough. 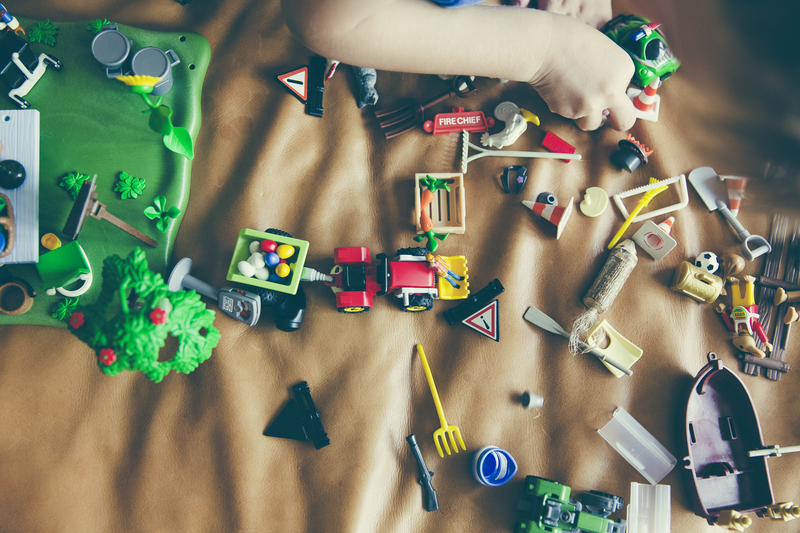 I’ve seen so many articles on the rise of children’s obesity, stress and anxiety levels, and recently read a great article on why there are so many preschoolers showing signs of Sensory Integration Disorder. They are not moving enough inside at gym or outside at recess. Kids need activity as much as food and rest. They also need free time to cultivate their imagination, the creativity. This is something that is lacking in today’s fast paced industrial world. I try to remember when Michael is asking me to go on adventures and roam around our neighborhood, that it is so good he wants to explore. I am equally proud he loves sledding, skating and is interested in hockey. I look forward to the day he may play with friends from school. As parents we get so caught up with academics, with making our kids learn more, get smarter. As Exceptional Parents, we are so worried that they are behind with milestones, walking, speaking, fine motor, gross motor, then academics, reading ,writing, math. Yes, all those things are important, but I am really beginning to see how important movement is for the brain, for reducing anxiety and opening up learning in different channels. This goes for myself as well as for Michael. When I don’t move with stretching my body and exercising, I don’t think as clearly. I think better though when I am in balance physically. Thanks again Michael, for reminding me of this life lesson. Exceptional Parents, when was the last time you praised your child for being active and having fun? Try it next time they come in from dancing, swimming, skating, sledding or plain old winter fun. You won’t regret the message you are sending, which is that winter carnival fun can be all winter long, and that physical movement belongs up there as a priority right alongside academics. Until next time.